Since her split with Wiz Khalifa last year Amber Rose has been linked to several celebrities including Nick Cannon. But the blonde bombshell sent off a twitter firestorm this week when photos surfaced online of herself and Machine Gun Kelly holding hands and also a airport pickup according to TMZ. Sources connected to the model told us that she is not dating the Bad Boy rapper. 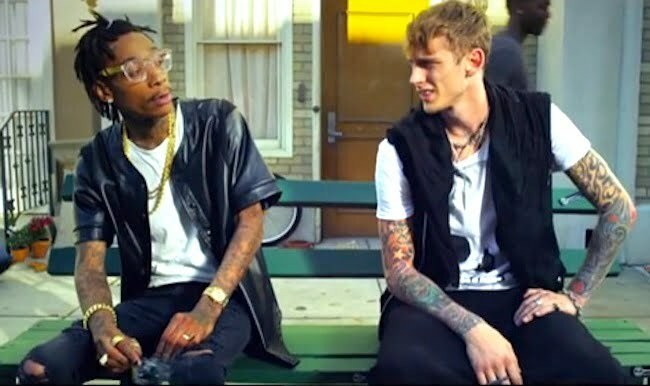 “Amber and MGK are just friends they are not dating,” sources said. 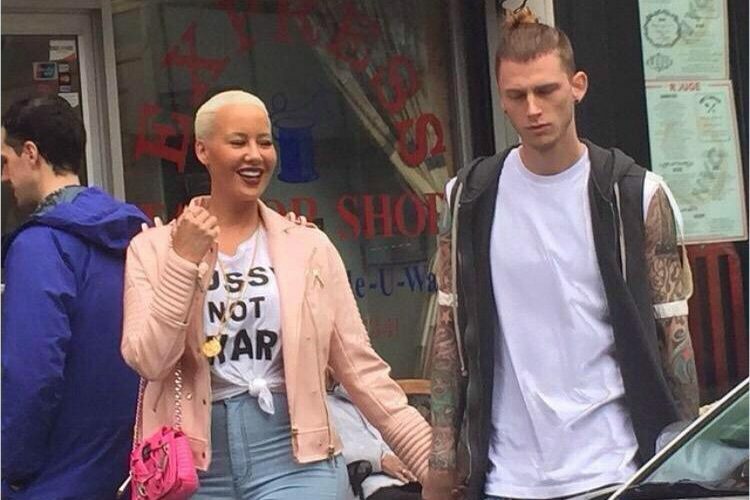 Just last month, Amber Rose proclaimed that Wiz Khalifa is the love of her life last month during an Instagram post.